Mobility has taken over the world. Almost everyone has a mobile phone and whether it’s news, messaging, or social media, there is a good chance it is happening on mobile. We are attached to our devices, and we feel naked when they are not with us. Mobility helps empower your whistleblowing program by providing another channel for employees to report misconduct. As whistleblowing evolved, we saw reporting move from face-to-face and letter to phone hotlines. It's now moving to an omni-channel approach using the web, mobile, live chat, and traditional phone hotlines. Whistleblowers can now choose the channel they feel most comfortable using. Organisations have multiple ways to receive reports, which increases reporting and helps them identify risk faster. Mobile is a crucial part of this omni-channel approach. For many employees mobile will be the preferred channel for making reports. In this article, we'll discuss why mobile should be a key channel for your whistleblowing program and the benefits it will provide. Why Is Mobile Becoming More Popular For Making Reports? Anonymity. Employees feel more anonymous using their mobile phones. One reason is that mobile phones are always with them and the employee typically owns their phone. They also feel their identity is better protected by submitting a report on their phone than a corporate PC. Add to this the ability to report from outside the office, and employees have a higher level of trust using their mobile phone to make reports. Convenience. Employees are hesitant to make a report of misconduct from the office. Whether it’s using a company PC, being on the company’s network, or the prying eyes of their colleagues, they worry about anonymity. Being able to report from their phone opens up where and when they can make a report and empowers them to do it on their terms. Lack of access to a computer. With increased access to mobile phones, many people now don’t have computers at home or don’t have easy access to one. Often their access to a computer comes at work, where they might not feel comfortable reporting misconduct. Increased anonymity and convenience, coupled with a lack of access to a PC, will drive more reports via mobile phone. Consumer trends. Our interactions with our mobiles only continue to increase. From booking a taxi to ordering food, we are getting used to doing everything on a mobile phone. Employees now expect the same consumer experience in their business applications, with mobility being an essential requirement. What Benefits Does Mobile Provide Your Whistleblowing Program? Increased reports. The #1 benefit of a mobile option is that you will see your number of reports increase. Between anonymity and convenience, you have taken friction out of the reporting process. Less friction will increase the information you are receiving, helping you to identify more hidden risk in your organisation. More flexibility for employees. Providing an extra channel to make reports will provide employees with more options and increased anonymity. Being able to anonymously communicate with case managers via their mobile phones will also increase the number of interactions you have with whistleblowers. Mobile is more immediate and easier to maintain anonymity with, which means whistleblowers will respond back to you at a higher rate. More evidence. Gathering evidence via mobile is much easier than through a PC. Whether it is video or audio, or even easy access to files in the cloud, a mobile approach makes getting information across to you simpler. It sends the right message. Having a mobile option sends the message of how seriously you are taking whistleblowing. By providing an additional option to employees, they see that your whistleblowing program is something you are investing in. Which Employees Does Mobile Help The Most? Mobile workers who are on the go and rarely in the office. Employees that don’t work behind a desk or have easy access to a desktop or laptop PC in their workplace. Workers that are remote in the field and a mobile phone is their primary connection to the Internet. Employees in small offices that don’t feel comfortable in reporting while in the office. Employees that don’t have easy access to a desktop or laptop PC outside of their place of employment. Submitting reports online increases anonymity and ease of reporting. Yet, if the employee does not have easy access to a computer, it can introduce friction into the process. Having a mobile option helps give the whistleblower choice that will help increase the chance of them making a report. And remember, the goal is to increase the level of reporting in your organisation to identify hidden risk. Jim is a lineman for a mid-sized utility. He is rarely in the office as he is out in the field repairing power lines, doing maintenance, and performing inspections. Jim’s connection to the Internet 95% of the time is his mobile phone that uses for calls, surfing the web, and social media. Jim witnessed misconduct concerning some colleagues who were stealing copper wire and reselling it. He was angry about this and wanted to report them anonymously, but he was not scheduled to be back in the office for another week. Seeing posters with a QR code for easily reporting misconduct, Jim took out his mobile, snapped a picture of the code, and was taken to a reporting page where he made his anonymous report. If Jim did not have a mobile option, he would need to wait a week before getting in front of a computer to make his report. The questions this brings up are “would he remember to make a report?”, “would he still feel the same way and take action to report misconduct?”, “would he remember all of the specific details after a week?”, and “would he have easily been able to make a report in his office?”. How Do You Enable Mobile In Your Whistleblowing Program? If you use a whistleblowing platform to power your whistleblowing program, it should provide a mobile responsive site. Mobile responsive means the text and content conform to the screen size to provide a better mobile experience. You will notice this when you turn your phone from vertical to horizontal and screen widens, along with text and pictures reformatting. 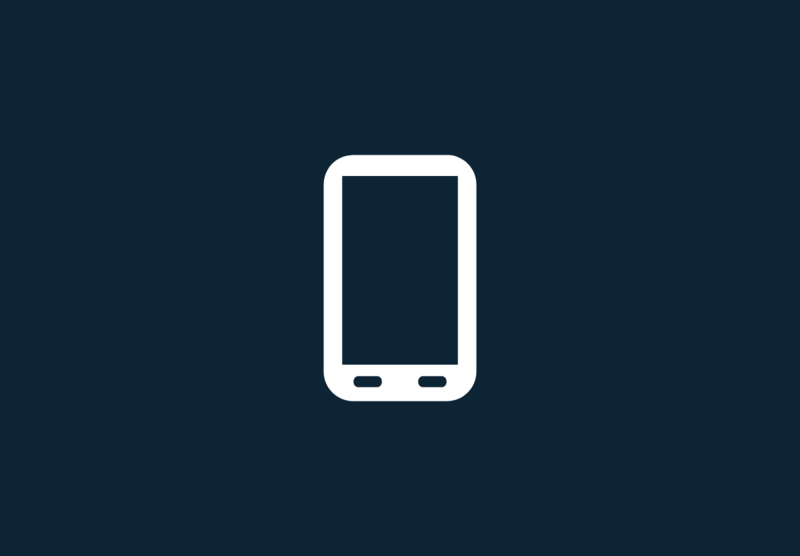 A mobile responsive site allows a whistleblower to have closer to a desktop experience on a mobile phone and makes it easier to submit a report. You want your whistleblower to have a similar experience to using Uber to call a cab or Deliveroo to order food online. If it's too hard on mobile, they won't make the report. Quick response (QR) codes are another feature which helps make submitting a report even easier. 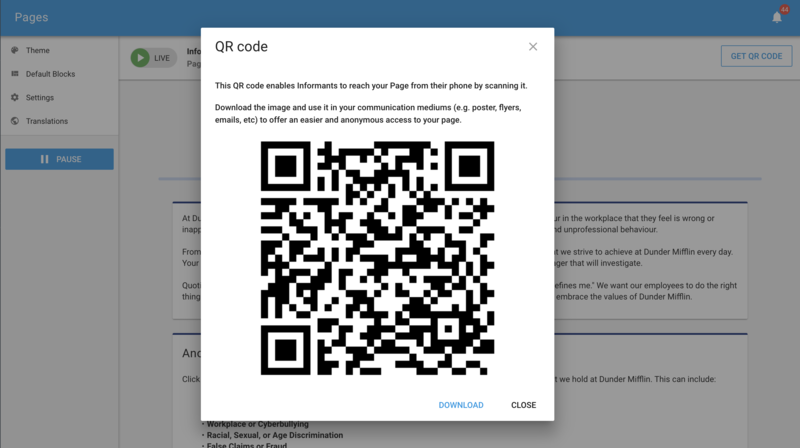 By having QR codes linked to your whistleblowing page, employees can take a picture of the QR code and go immediately to where they can submit a report. QR codes can cut out steps of the process, especially if employees need to find your whistleblowing page on your intranet. You can use posters with QR codes in your workplace to help increase the visibility of your whistleblowing program. Do You Need A Whistleblowing App? Friction. Needing an app adds friction to the process. Most whistleblowers won’t have the app on their phone. By downloading an app, they significantly increase the steps needed to make a report. From finding the app in the App Store or Google Play to then downloading it, to then finding the submission page, and finally making a report, the process is longer. What this means is many employees will drop out and not make a report because it falls into the “too hard" bucket. Anonymity. An app also decreases the perception of anonymity. Anytime you download an app, you can’t be anonymous, which could scare off employees from downloading it. While this information is not shared, the fact that they need to sign up with their name to get the app would give some employees pause. People delete apps they don’t use. Apps that get used, get used a lot; apps that don’t get used get deleted. The iPhone even now has a feature where it will automatically delete apps that are not being used. Whistleblowing is not something one does every day, year, or in many cases, ever. So most people would not download an app in preparation to blow the whistle at some point in the future. This means they would need to download before making a report, which brings on the challenges made in the first point. A mobile responsive site works just as well. The point of an app is that it runs on your phone and performance is better. For heavily used apps like YouTube, Gmail, Facebook, and gaming apps, this provides a lot of benefits. For for a task-specific app like whistleblowing, an app doesn’t provide any benefits over a mobile responsive site that will have the same performance. What’s The Future Of Mobile & Whistleblowing? Like other forms of content, the number of reports made through mobile will only continue to increase. With better mobile experiences, increased comfort in making reports by mobile phone, and more awareness of whistleblowing programs, we should see mobile submissions keep climbing “up and to the right”. As phones become more powerful and have more features, mobile whistleblowing will become even more important. With mobile phones capturing more data (like video and audio) and with data more portable, we will see more reports coming from mobile. Innovations in mobile user experience, speed, and more information in the cloud will help drive this trend. 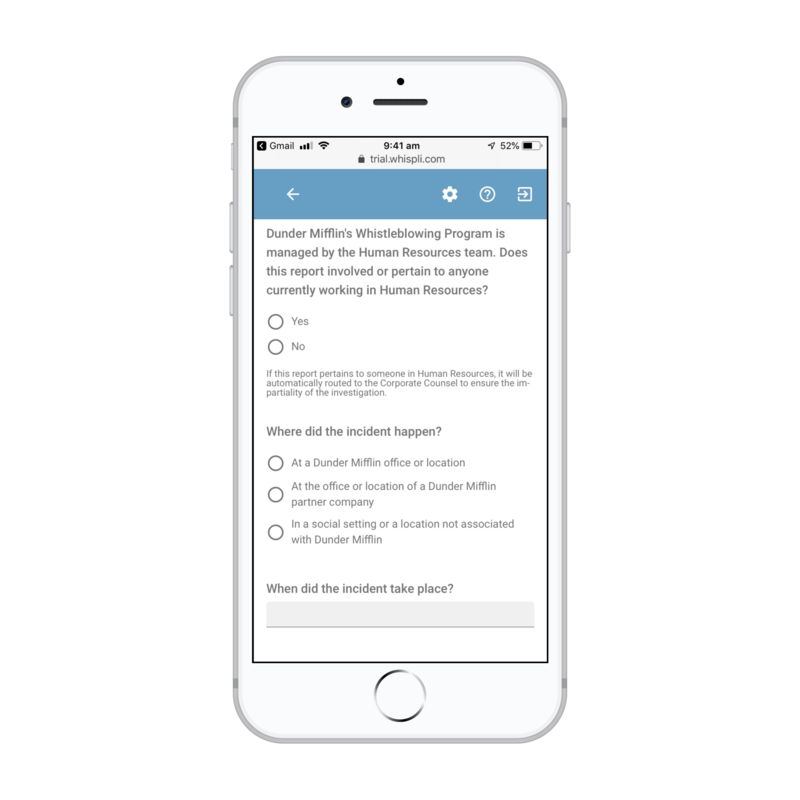 Moving forward employees will not only want to submit reports by mobile, but they will expect to be able to do this. As more of the workforce consists of Generation Y and Generation Z, mobile will become the preferred method of submitting reports. Organisations that don’t have a mobile option will see a decrease in reporting. We have seen reporting move from phone hotlines to submitting online; mobile is the natural extension of this trend. Mobile is here and it’s already a big part of lives. As we've become accustomed to using mobile for other parts of our lives, it’s natural that more employees will use it for whistleblowing. It’s important you look at how mobile can play a role in your whistleblowing strategy and understand how it helps you empower employees, receive more reports, and identify hidden risk.